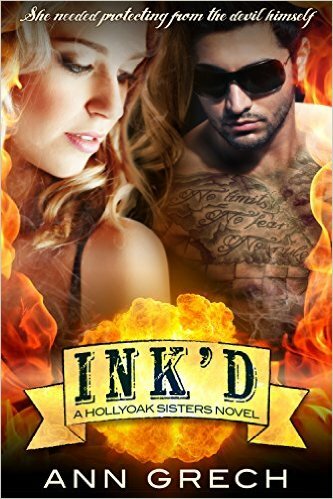 With her fine arts degree achieved, Chloe Hollyoak begins her dream job in her hometown as a tattoo apprentice. Life is sweet, until the unimaginable happens, leaving Chloe and her two sisters alone and devastated. In her loss, life spirals out of control, made even worse when she’s then pursued by Blade, a biker intent on owning Chloe. Running scared and with nowhere to turn, Timmy, the tall, dark and freaking perfect stranger rescues her. Protective, possessive and dominant, Timmy tries to resist the much younger Chloe. But Timmy is fighting his own demons. Can they navigate their way through the storm to find calm waters, or will past secrets, Blade or Timmy’s own insecurities destroy their chances?